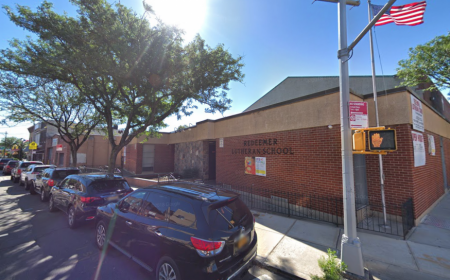 The closure, announced Thursday night on the school’s Facebook page, is reportedly due to low enrollment rates and high-priced repairs needed in the building, located at 69-26 Cooper Ave. The announcement received an outpouring of responses from residents who had sent their children to the school, or had attended the school themselves, sharing their fond memories of their time there. Enrollment at Redeemer, which offers Pre-K through middle school classes, has dropped off in recent years. With the lowered attendance and several necessary building repair projects going underway, the school’s debt increased to $300,000. Just last December, Redeemer held a fundraising campaign to raise $30,000 to fix a botched boiler repair job. Other Lutheran schools have met a similar fate. Our Savior Lutheran in Rego Park and St. John’s Lutheran in Glendale having closed in recent years. Private schools are closing because they have become too expensive, especially in a neighborhood with good public schools. My friends that stayed in Glendale and had kids there felt their kids got a better education at the PS than they would have at St Pancras (where we went). Just curioud. What is going on in Glendale ? Something residents should be aware of ? St. Pancras closed. Redeemer Lutheran closing. Almost all the banks have high tailed it. Leaving us with dollar stores, nail salons and pharmacies. I feel the need to move is getting greater and greater.